Discuss constructive feedback privately. Follow up on points much more discreetly in one-on-one sessions instead of during meetings with the entire team. Your agents are more likely to be receptive to constructive criticism when they believe the feedback is meant to help them and not humiliate them. Look for comprehensive software options like those available from ChaseData. Our software is designed with features that help you provide coaching assistance to your agents. You can record calls, monitor them, or even join them, depending on what action is needed at the moment. If you want a better way to manage your team, efficiency is key. 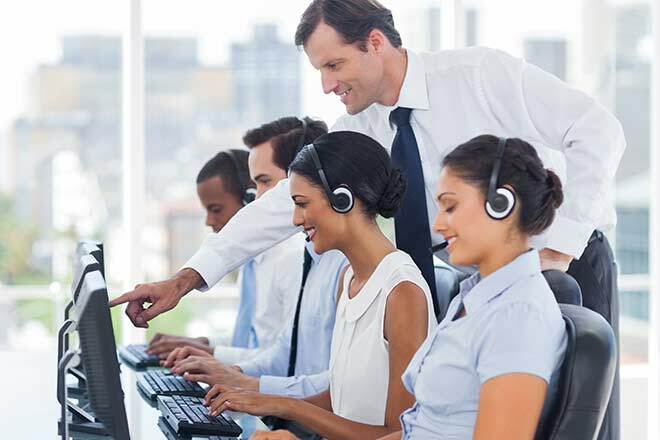 Make your job easier by using the right call center software for coaching call center agents. Providing your agents with the support and tools they need can go a long way to improve the way they work. For instance, by making the switch to a predictive dialing system, your agents won’t need to enter the numbers by themselves. That’s going to save a ton of time and effort on their part. With systems like those available through ChaseData, you can speed up routine tasks for your team. They can take advantage of features that allow them to dial numbers a few seconds before they’re done with a call. That makes it easy for them to take the next call immediately, eliminating any downtime and making them much more efficient at their jobs. With a predictive dialer, they can do double the calls in the same amount of time. That’s going to prove a very effective way to boost their performance scores! ‘SMART’ means specific, measurable, assignable, realistic and time-related goals. Cloud-based software solutions make this possible. Because you can monitor calls with the software, you can assess the agent’s skills in handling customers and pinpoint instances or areas for improvement much more accurately. Providing accurate feedback means you can set specific work goals that your agents can aspire to. If there’s one thing you need to know before you set out to provide feedback, it’s this: specific details are a must. If you only offer vague criticism, that’s not going to help your agents improve, the HR Daily Advisor says. Give them a clear idea about what they need to change, what their weaknesses are and what they can do about them. When you’re coaching call center agents, it's important to provide them with feedback that’s informed by context and data. That’s where software solutions like those provided by ChaseData come in. With coaching capabilities that allow you to record calls, you can show and refer to instances or practices that they can eliminate, improve or change. This gives them concrete proof so your agents won’t think you’re pulling comments and criticism out of thin air. With saved sections from calls you monitored, you can dissect their performance and help them see what they’re doing wrong - and commend them for excellence when they’re doing things right. Another way you can help your agents improve is through the use of roleplay. Think of it as a trial run. By putting them in scenarios that they will encounter eventually, they can gain a better understanding of what they need to say in that particular situation. They’ll know how to handle the complaint, how to be empathetic towards a customer or what kind of assistance will help. With role-playing, they can get the information they need to tweak their approach, depending on what the situation is that they’ll face. You can use your call center system to help with the role-playing. That way, your agents will be familiar with the steps they’ll take or what options or system features they can use if they find themselves in trouble. Your sessions aren’t going to be complete unless you develop an action plan with your agents. Make sure those plans are tailored to the needs of every agent on your team, though. A one-size-fits-all plan isn’t going to cut it and can mean little to zero improvements in your agent’s performance. Build an action plan that factors in what your agent needs. Take the time to ask your agents about what issues or roadblocks may be holding them back from giving their best performance at work. Is it friction from another team member? Is it the equipment they use? This is as good time as any to install better software systems. Once you find out what those problems are and you’ve taken steps to help eliminate those roadblocks, then you and your agent can develop an action plan together, one that can overcome hurdles to the agent’s performance. Feedback must always be two-way. If you’re providing feedback to your agents, it’s also right that you get their feedback as well. If you’re still using old calling systems, then they may no longer be effective. In fact, they could be slowing down the work for your agents. Asking them for feedback can help you find out about these things sooner so you can make changes to the systems and tools you use much, much earlier. A seasoned team can give you the best competitive edge in the market. One way to make that happen is to ensure your agents have continuous training and the right tools to get the job done. By providing them with better call center solutions, they can do their jobs better, be more efficient at work, and help you meet sales goals and targets. 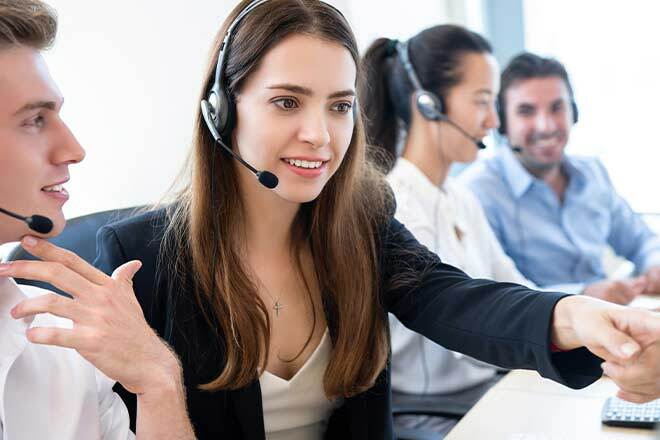 Coaching call center agents is time-consuming, challenging and occasionally emotionally-draining – especially since feedback can impact employee morale. 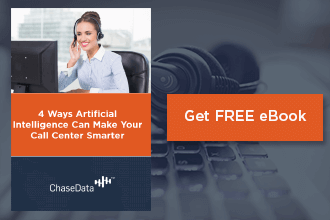 If you want stellar results, though, using these tips and installing call center solutions like ChaseData can help you see significant changes in your team’s performance and your organization’s bottom line.